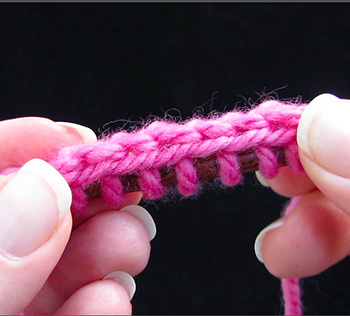 For all you beginner knitters out there who would like to progress to hats and shawls, I’m going to give you just a couple cast on/cast off tips for today. 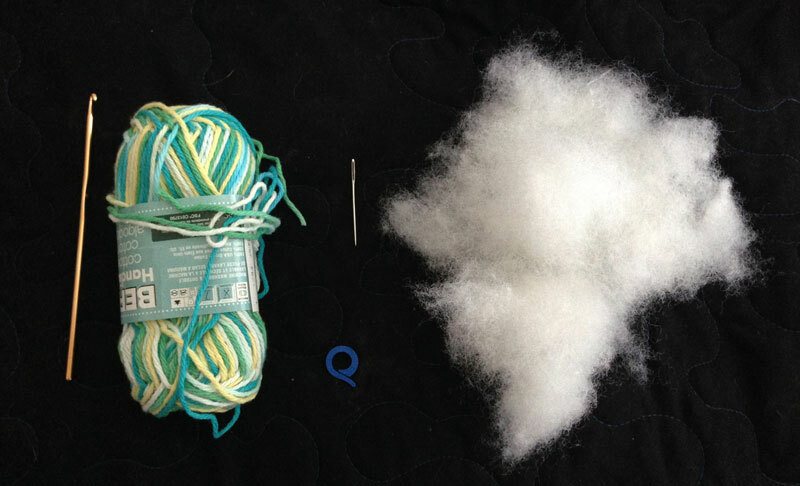 If you’re thinking about making a hat or even going for socks, you may wish to try the German Twisted Cast-On. It gives a good amount of stretch which is perfect for a hat or socks without being too stretchy and getting droopy. It’s also good for projects with ribbing, which hats often have. 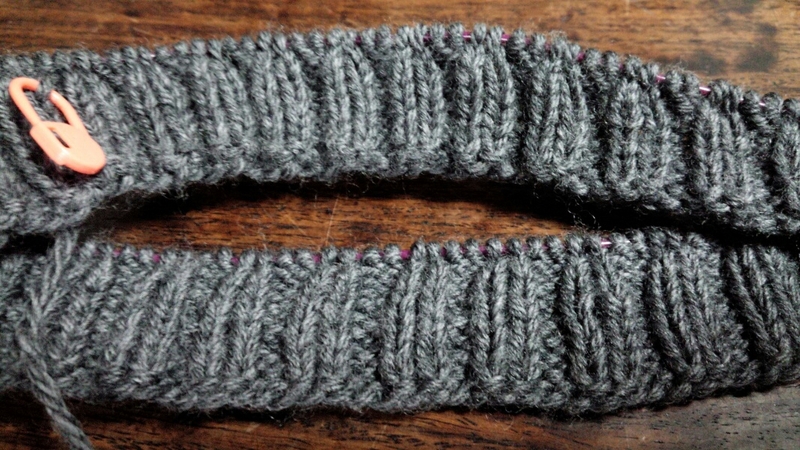 As you can see below, the cast-on molds perfectly to the ribbing that follows. 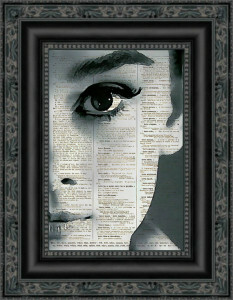 There will be many YouTube videos that will show you how to do this but here’s one for you. Next, for shawls, what you will use will depend on whether you working your shawl from the top or the bottom. The pattern will tell you this right away. There are two cast-on/cast-off pairs that I like to use. The first is Jeny’s Stretchy Slipknot Cast-On. This cast-on is just perfect for shawls where you want the stretch so that you can freely block it afterwards. 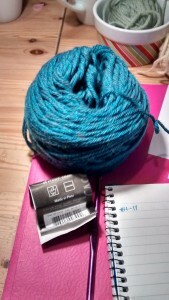 This cast-on is related to Jeny’s Surprisingly Stretchy Bind Off. The instructions in this particular are step by step with pictures but if you’re more of a video, YouTube person, here’s that option as well! This is good if you start from the top of your shawl and end with the bottom – often having 200-400 stitches to bind off that you don’t want to be tight like a normal bind/cast-off would cause. The final cast-on/off pair that I would like to share with you is the Chinese Waitress Cast-on. This cast-on creates a beautiful edge that also happens to be very stretchy! You can do this with either two knitting needles or my preferred method is with a knitting needle and a crochet hook! 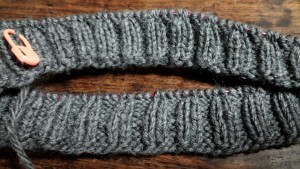 Related to this cast-on is the Chinese Waitress Bind-Off which will give you a matching edge on the other side of your project! I hope I’ve provided you with some tools/tips to get your started! 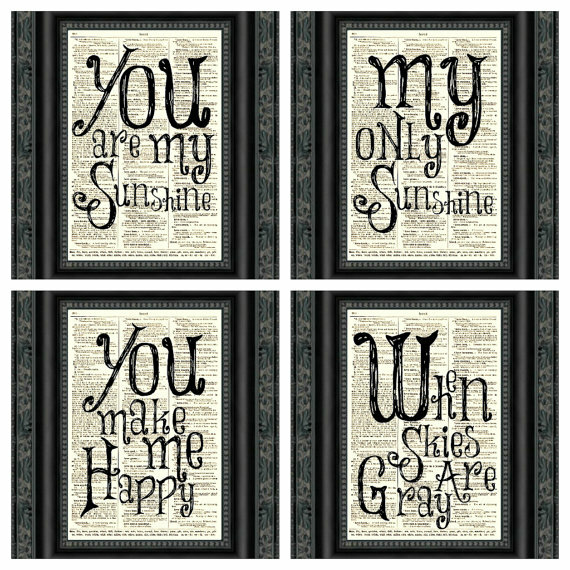 Let us know if you like them or if you have other suggestions that have worked for you! Depending on your tension, this basket measures about 8-9″ tall at the top of the handle, and about 6″ in diameter for the opening of the basket. Supplies: 2 Skeins of any medium weight yarn, Size N-13 (9mm) Crochet Hook, Large Eye Yarn needle, and a stitch marker if desired. 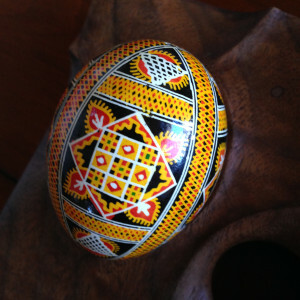 As stated above, this pattern is made by holding both colors together through the entire pattern. It is also worked in continuous rounds; do not turn and join rounds together. 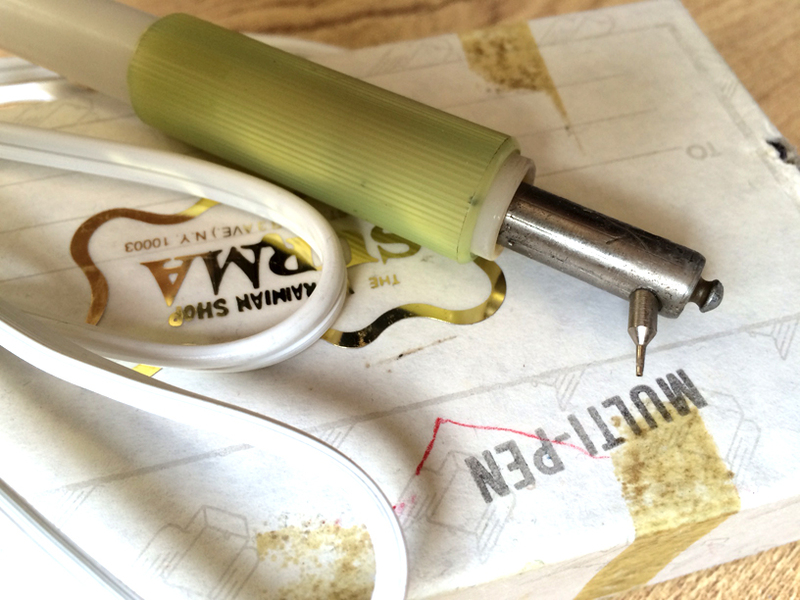 Use a stitch marker to help keep your rounds marked if needed. 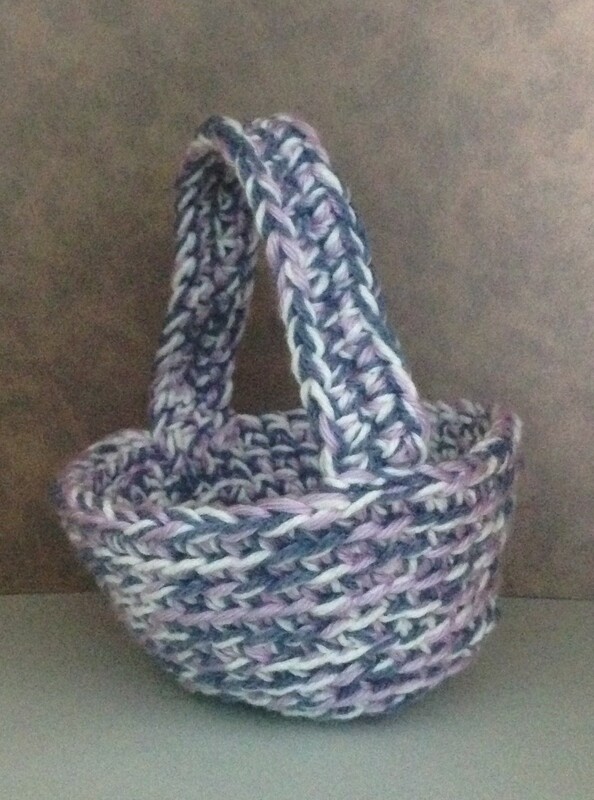 Begin at base of basket, with 1 strand each color held tog, ch 2. Rnd 2: Work 2 sc in each sc around – 16 sc at the end of this rnd. Rnd 3: *2 sc in next sc, sc in next sc; rep from * around – 24 sc at the end of this rnd. Rnd 4: *2 sc in next sc, sc in next 2 sc; rep from * around – 32 sc at the end of this rnd. Note: For Rnds 6-13, work through both loops of each st.
Rnd 7: *2 sc in next sc, sc in next 7 sc; rep from * around – 36 sc at the end of this rnd. Rnd 9: *2 sc in next sc, sc in next 8 sc; rep from * around – 40 sc. Rnd 11: *2 sc in next sc, sc in next 9 sc; rep from * around – 44 sc. Rnds 12 and 13: Sc in each sc around. With 1 strand each of each color held tog, ch 31. Rnd 1:Work 2 sc in 2nd ch from hook, sc in next 28 ch, 4 sc in last ch; rotate piece to work along opposite side of foundation ch (at the base of the sts you just worked), sc in next 28 ch, 2 sc in last ch; join with slip st in first ch. Fasten off. 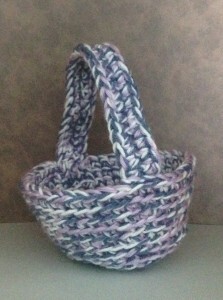 Finish by sewing ends of handle inside top edge of Basket. Weave in ends. 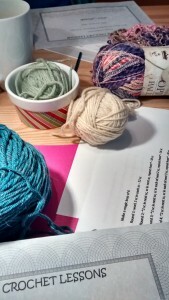 Well, folks, we have come to the final crochet class at Georgetown Yarn and what a wonderful ride it has been! It’s pretty amazing that just a month ago I knew absolutely nothing except that you use a hook instead of a needle and now I feel like I could pick up a pattern and know what all the gobbily-goop actually means! For the final class, Kerry had us pick out own pattern and wool (or wool options in my case) and she helped us get started on a project of our very own! 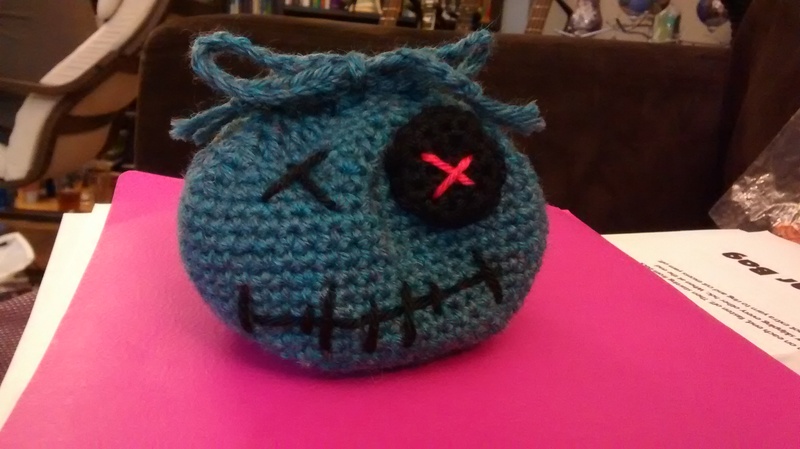 I recently started tabletop gaming with some friends so I thought I would make myself a dice bag. 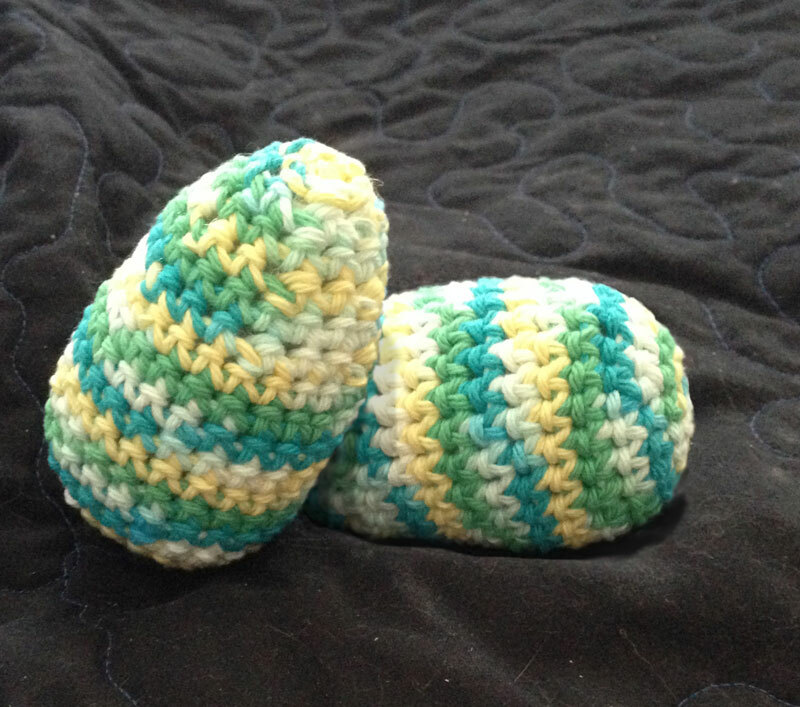 I found a project pattern that I liked and found a few balls of wool that I thought might work and off I went. Kerry helped me figure out which wool was best for my project and then she got me going. I actually used the leftover Cascade 220 Heather from my purse that I bought at Georgetown Yarn for this. 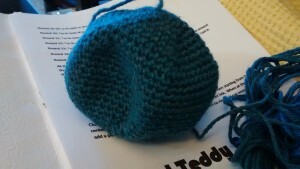 The dice bag is the first project I had worked on so far that had increases and decreases. Kerry very patiently worked through it with me and I was off to the races! 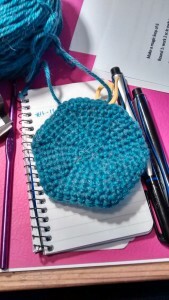 Then I learned about crochet magic loop and began my increases. I got quite a few increase rows done before class was over and I was pretty proud! And then guess what? I was rewarded! 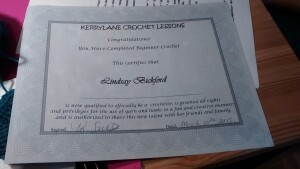 I got myself a certificate for completing the beginner crochet class. WOOHOO! 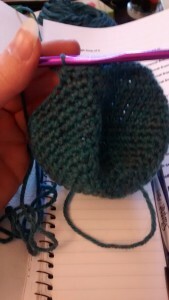 When I got home and over the next day, I steadily worked on my dice bag. I was making such good progress. Look! It’s half a bag! 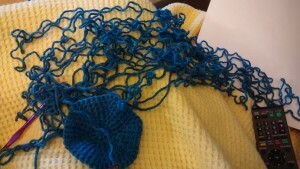 But I powered through, undid about 15 rows back to the increase rows, faked a fix (don’t tell!!) and I was good to go again. Here I am getting close to final product. Here ends my adventures in crochet class. I hope you enjoyed the ride! 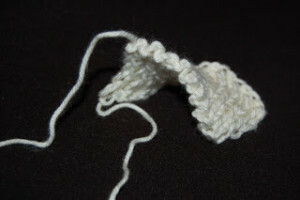 Georgetown is currently offering Beginner Knitting and another Beginning Crochet class will be starting up again soon. 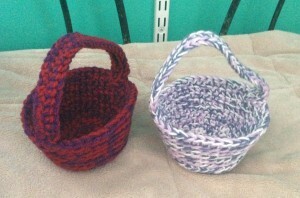 Be sure to keep an eye on the Facebook page or Ravelry page for more details. And sign up for the Georgetown Yarn newsletter for even more information!! 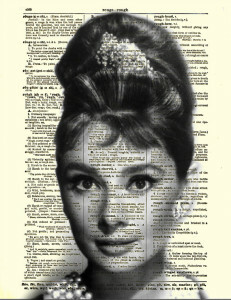 You can also check out Kerry’s website to see when and where she is teaching classes. 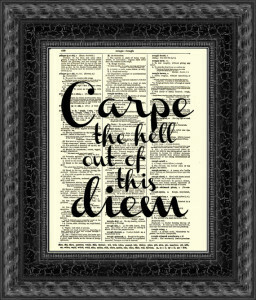 Happy Saturday to you and I hope you’re getting some crafting in! This weekend is (Re)Generation, a Dr Who convention that is known as the Doctor Who celebration for every generation. Guests this year include the Sixth Doctor Colin Baker and the Seventh Doctor Sylvester McCoy as well as companions and other actors from the Doctor Who shows. 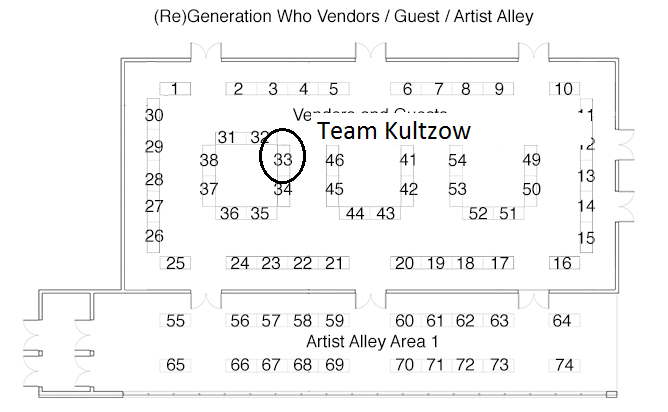 Appearing at (Re)Generation are Craft Hacker members Team Kultzow and White Tree Chain Mail. You may notice that White Tree is missing from this map and the website. This is because there was a mix up when they did the layout. This means White Tree gets to have a table out in the main area with just him! He can be found on the lower level near the escalators along the path to the main stage. 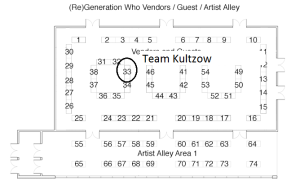 If I get any pictures of them or the convention I will make sure to update Twitter and Facebook. 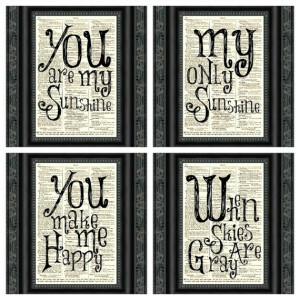 This pattern is provided for free by the pattern makers over at Lion Brand Yarns and is a great simple pattern. I love using their site when looking for simple clothing patterns as they have a nice wide variety for you to peruse once you fill out their free email list. Just click on the photo above if you already have an account to take you to the pattern, but if you would prefer not to go through all that, I’ve provided it below as well. This pattern is worked in continuous rnds; do not join or turn unless otherwise instructed. Colors will be reffered to as Color A, Color B, and Color C with A being the primary Bird Color, B the wing/nest/head color, and C the beak color. Rnd 1: Work 6 sc in first ch. Place marker in first st for beg of rnd; move marker up as each rnd is completed. Rnd 3: *2 sc in next st, sc in next st, rep from * around – 18 sts. Rnd 4: *2 sc in next st, sc in each of next 2 sts, rep from * around – 24 sts. Rnd 5: *2 sc in next st, sc in each of next 3 sts, rep from * around – 30 sts. Rnd 6: *2 sc in next st, sc in each of next 4 sts, rep from * around – 36 sts. Rnd 7: *2 sc in next st, sc in each of next 5 sts, rep from * around – 42 sts. Rnd 8: *2 sc in next st, sc in each of next 6 sts, rep from * around – 48 sts. Rnds 9-12: Sc in each st around. Rnds 3 and 4: Sc in each st around and begin adding stuffing. Rnd 5: *Sc2tog around – 6 sts. Rnd 6: Work 2 sc in each sc around – 12 sts. Rnd 7: *2 sc in next st, sc in next st, rep from * around – 18 sts. Rnds 8-10: Sc in each sc around – 18 sts. Rnd 11: *Sc2tog, sc in the next st, rep from * around – 12 sts. Rnd 12: *Sc2tog repeat around. With A, embroider French knots for eyes on babies and use beads for the mother. 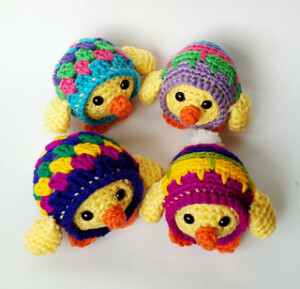 Fold Beak circles in half and sew onto each Bird. Sew Birds into Nest. Weave in ends. 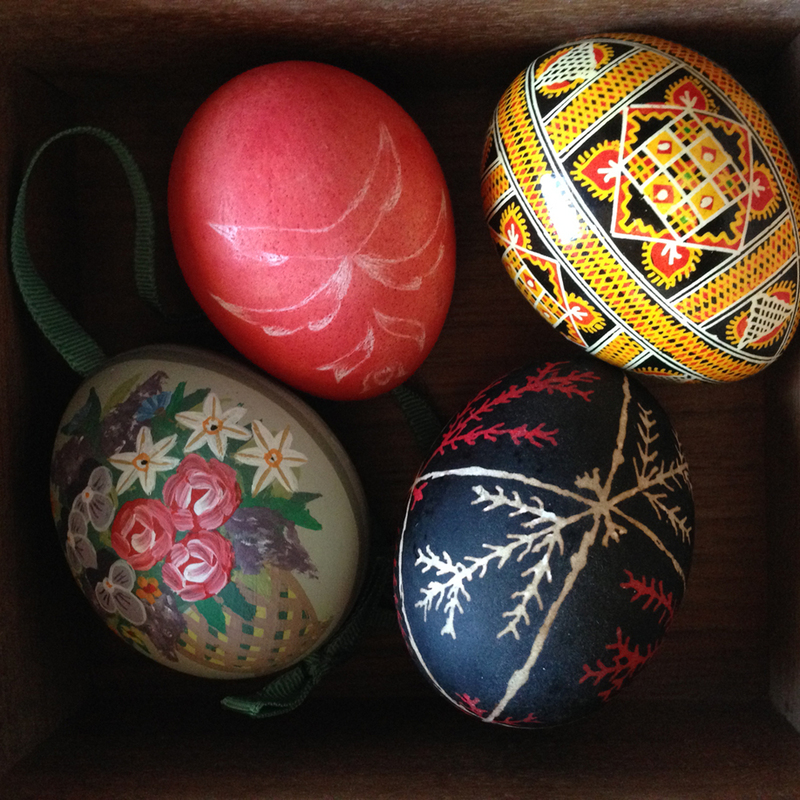 One of my favorite things about Spring are Egg Hunts. Whether it is related to Easter or not, for kids or adults, the egg hunt is my favorite activity of the season. I scoured the internet for some great ideas on how to make your egg hunt interesting and unique. The first step to any egg hunt is to plan it. Wikihow provides a great 6 step process that makes planning easy. Martha Stewart always has some great ideas. 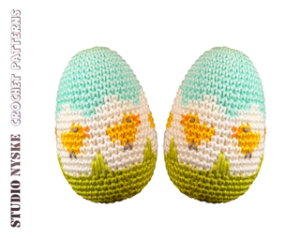 Her egg hunt page has 18 ideas for the invitations, decorations, and the egg hunt itself including these Chick bean bags. Babble gives us 11 ideas to make your egg hunt unique including eggs with messages on them. Lastly Kidspot gives us 10 tips to make your egg hunt fun. If you have your own egg hunt I hope it is fun for everyone! 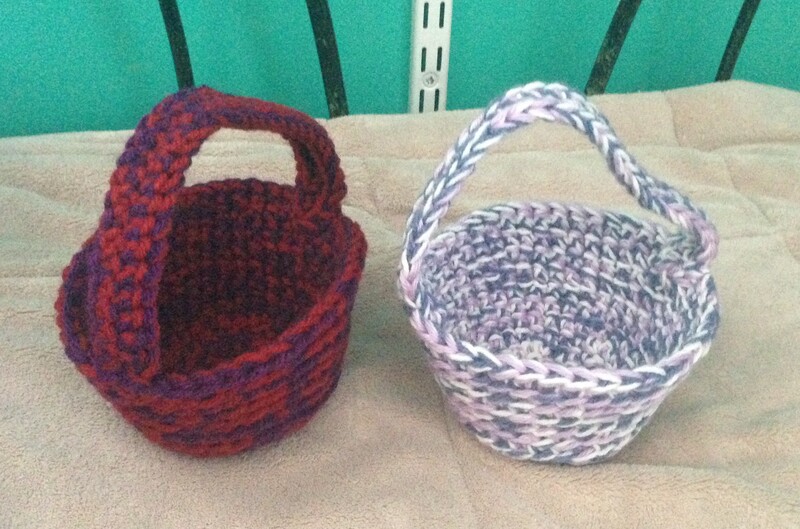 Yesterday, Nicole started us off on the DIY trend by showing us how to crochet our own Easter eggs. 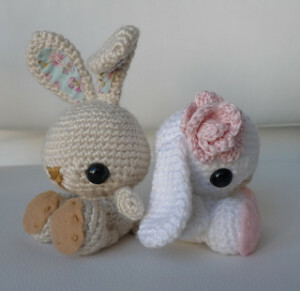 I’m going to continue with that and give you some of the cutest Spring/Easter patterns that I’ve found. 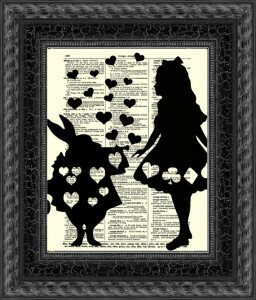 Bunnies and chicks and eggs…oh my!! 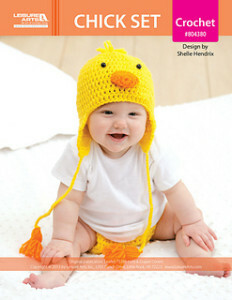 The below patterns are going to be a mixture of knitting and crochet – something for everyone! 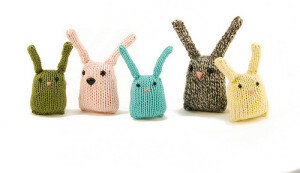 First off, Rebecca Danger gives us these super cute Bunny Nuggets! 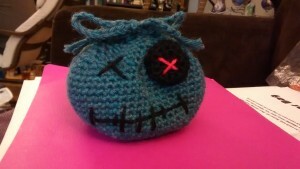 I have made these before and they are weird and cute and awesome! 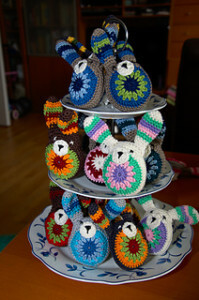 Janette Williams then offers us the Easy Easter Bunny for you crocheters out there! Can you imagine having tiers of these bunnies around your house? 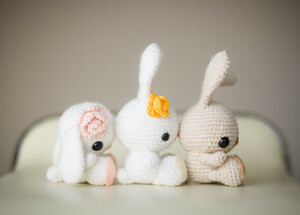 I found the pattern for these Spring Bunnies by Stephanie Jessica Lau and oh my word! Have you ever seen a cuter bunny? They look so wee and adorable! 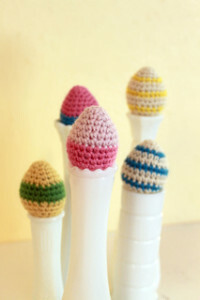 I am definitely glad that I’m learning to crochet because these are now on my to-make list! If you are the type of person that likes making “useful” items out of your crafting skills and have a little special someone, how about this Bunny Hat by Angie Hartley? 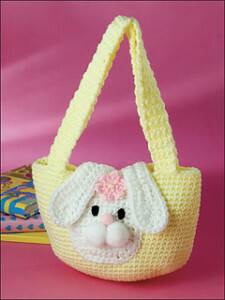 Or if you’re planning an Easter egg hunt, you’ll need something to carry those treats around in so this Bunny Purse by Sheila Leslie might be just the thing! Okay, the bunnies have had their turn. Now make way for the chicks! How about a chick in an Easter egg costume? Huh? CUTE! This pattern is by A Modest Creation. Or what about a chick in an egg shell by Sanda Dobrosavljev? I’m not too sure why we keep putting chicks in things but it works and your kids or friends will love them! Okay, time to give the chicks a chance at being useful! 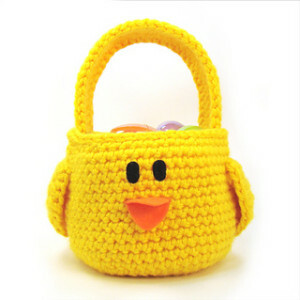 To match the bunny’s practicality, we also have an amazingly adorable chick hat by Shelle Hendrix and this chick Easter basket by Maria Stout! So? What do you think? Who is cuter? The bunny or the chick? Finally, I’m going to give you some option of Easter eggs. 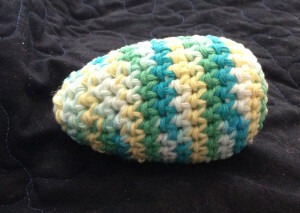 We have a version of the simple crochet egg that Nicole shared yesterday. 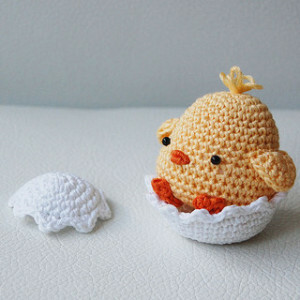 This egg pattern by Mamachee gives us a few colour variations and still makes this something most crochets (hopefully even me) would be able to attain to. Next we have a more difficult version of the crochet Easter egg with colour and stitch changes that show us little chicks on the egg by Hylkje Bies. 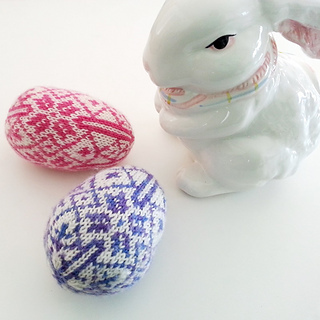 Finally, we have the fancy Nordic Easter Egg pattern by Mary Ann Stephens. 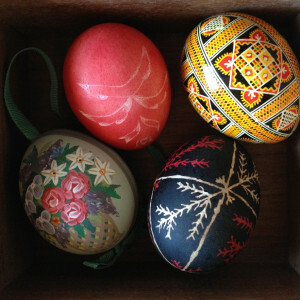 So, out of all the patterns above, which are you going to choose to decorate your Easter table with? Let us know and share some pics! You will need more stuffing then what’s pictured here btw. This pattern is worked in continuous rounds so do not turn or join at the end of each round. The number in the parentheses indicates the number of stitches you should have made at the end of each round. Fasten off, leaving a long tail. Using yarn needle, weave tail through sts of last rnd and tighten to close opening. 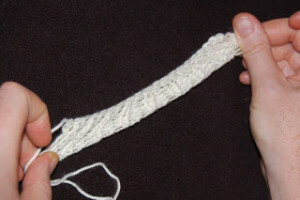 Weave remaining tail under stitching and cut off excess.